How does Pagely compare to other WordPress hosts? Companies in this space specifically cater to the needs of WordPress users with automated tooling and service around Managed WordPress sites. Not every company serves every market segment, and some like Pagely, focus exclusively on the complex scaling and security needs of the Public Sector and Fortune 1000. WordPress.com VIP is not really “managed WordPress Hosting” in our, or really anyones else’s opinion. It is however a tightly controlled, large-scale publishing service built on WordPress. How it differs from hosting is that users are not free to install or customize themes and plugins as a typical WordPress user anywhere else could. 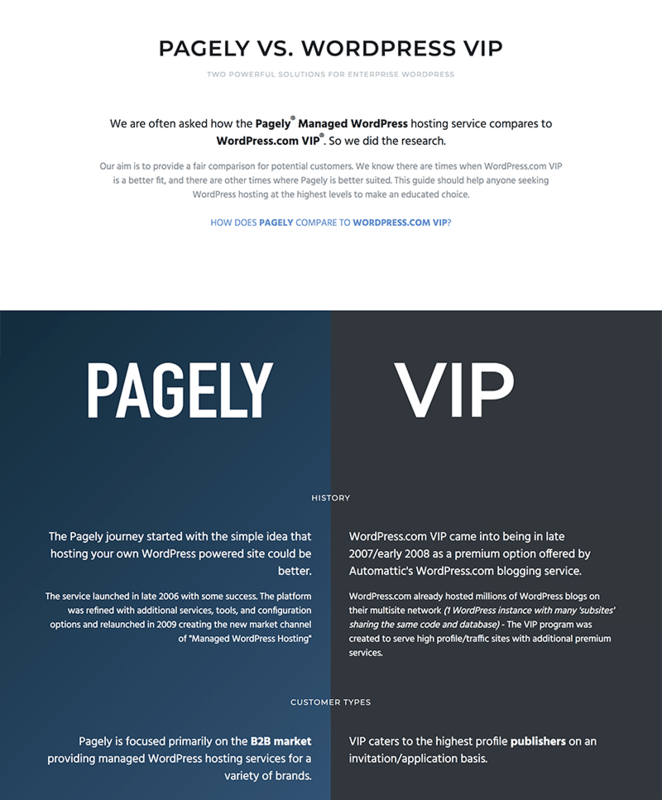 So WordPress.com VIP is really it’s own thing – however we are often asked how does Pagely compare to WordPress.com VIP because our customer types are very similar. 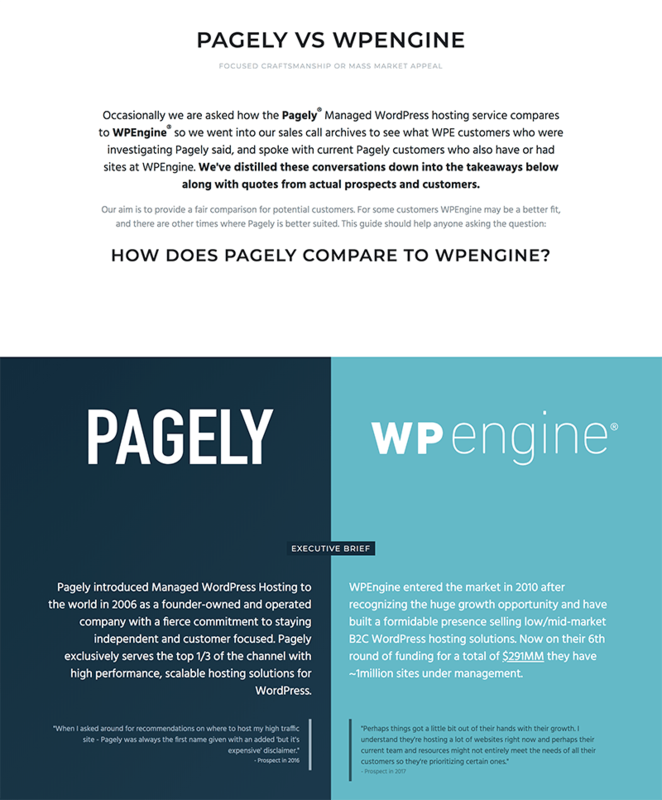 On the surface – WPEngine is a managed WordPress host like Pagely. The similarities exist in the problems we aim to solve. However – the approach each company takes to solve the customer challenges differs dramatically. WPEngine is an mass-market provider that sells a shared hosting platform predominately to small agencies, freelancers, and consumers. And well.. we don’t do it that way.